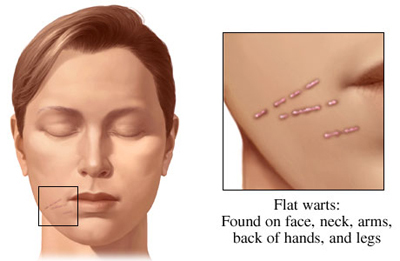 Wart is a malady caused by Virus and it is a menace which cannot be controlled easily. Wart is one of the most common cosmetic worries of many people. Human Papilloma Virus (HPV) is that species, which causes Warts. It enters through the broken skin and infects the outer layer of the skin. Human Papilloma Virus causes higher growth rate of cells of the outer layer of the skin, which seems rough and almost grey, known by the name Wart. In Ayurveda, wart is described as "Charmakeela". There are different kinds of Warts, which appear in different part of the human body that is from the sole to the eyelid. 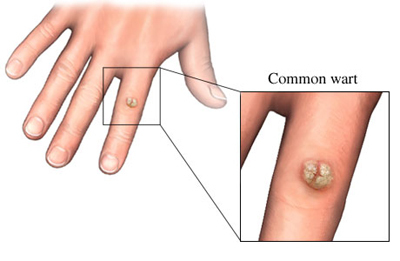 Mostly, common warts are seen on hands. 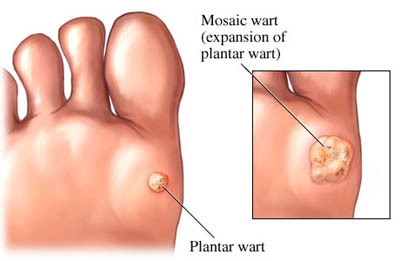 Plantar Warts are those, which grow on the soles and are, at times, painful too. 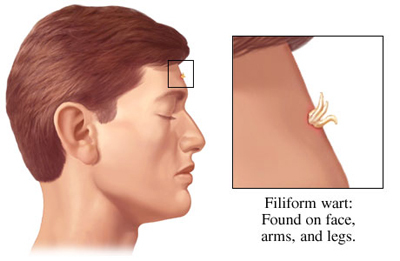 Direct contact with Human Papilloma Virus causes infection of Warts. Sharing towels, razors, scissors, slippers etc. leads to getting infected. 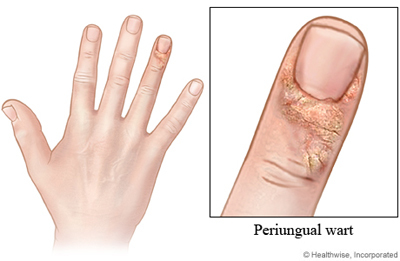 Sometimes it takes a long period to see the eruption over the skin as a Wart, after getting infected. There are some sexually transmitted warts also. Some people have more immunity and hence may not easily get infected on getting contacted. There are warts of entirely different physical characteristics i.e. some appear as a dome, some others flat, some are smooth and others are rough. Blood vessels of the smallest size grow into the warts, supplying blood and aggravating the condition. The terminals of these tiny vessels appear as black dots on the surface of the warts. These are warts erupting mostly on hands and knees with almost grey and slightly rough surface. These appear commonly on the face, neck, hands, wrists and knees, with smooth surface and flat shape and will be in clusters also. It is of the shape of small thread or small finger appearing ordinarily adjacent to the eyelids and lips. These appear only on the pressure points of soles, as small and hard lumps, immersed inside, with outer surface having black spots, which are tiny blood vessels. They appear mostly on the hands and soles of the feet as a group of plantartype warts, which are tightly clustered. Ayurveda for Wart removal We have developed a system of Ayurvedic remedies which eradicate the root cause of the disease and can remove warts permanently. Our Ayurvedic herbal formula is the only procedure, with which you can get rid of wart non-invasively, painlessly and lessen the chance of post- treatment marks on the skin. Our formula is made with 100% natural herbs from the rain forests, and is time tested for its efficacy and confirms that there are no known side effects at all. For Adults 18 yrs or older, take two (2) Capsules two times daily (every 12 hours) on empty stomach with lukewarm water. For best results, no food should be taken 30 minutes before or after taking WARTERASER.